5 ideas for babies who HATE tummy time. With all the pressure to give your baby a bit of tummy time each and every day, it can be very stressful if your baby decides that they hate tummy time and wants nothing to do with it. 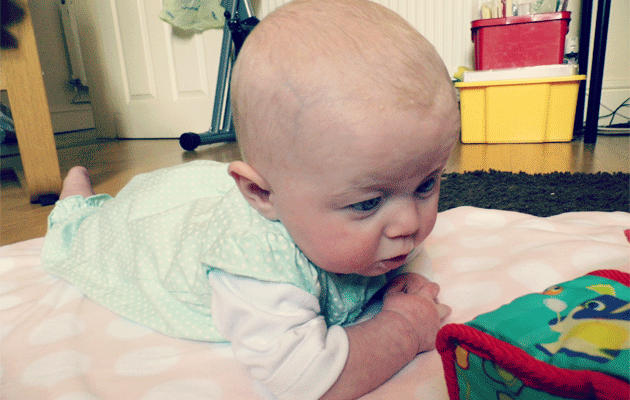 Although she has settled a bit now, Bo has always hated tummy time, sometimes screaming as soon as she is put down on the floor! As a result, we have ended up doing all manner of strange, slightly unusual things to help get her get accustomed to this different way of viewing the world. 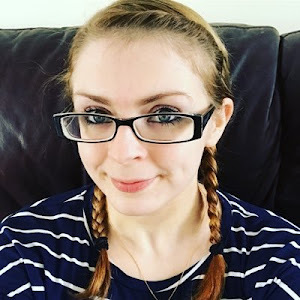 So, for any of you in a similar position, I thought I would share the five most effective methods we found of getting baby to actually spend some time on their tummy. Sit down on the floor with your legs bent so that your knees point towards the ceiling. Place the baby on your shins so that they are supporting their own head and slowly lay back, raising your knees so that your shins (and the baby) are parallel to the floor. Making sure to keep baby safe and secure at all times, straighten your legs and move them side to side, giving the baby the sense of flying. Although baby will not need to lift their head up, just holding it in place will help to strengthen those muscles! Pick up baby and hold them facing away from you, with one arm wrapped around their chest and the other looping through the legs and supporting their stomach. Then, lower baby down so that they are parallel to the ground. Then walk/run around showing baby different places in the house. Baby will try to lift their head to look where they are going, hence strengthening those core muscles. This one is perfect if you bought a birthing ball during your pregnancy or already have an exercise ball. Lie baby tummy down on the ball, hold their hands or arms and rock gently them from side to side. The curve of the ball will encourage them to use their core muscles to hold their head up and look at you. Lie baby on their tummy on your own stomach so that their arms rest on your chest. This position is more comfortable for baby as you are softer than the floor and you are also there infront of them, in the perfect position to entertain. This is an unusual one but I relied on it to get Bo to spend any time on her tummy at all. Lie baby face down on their changing mat or a board on wheels if you have one (believe it or not, the first time we did this it was on a Lego board with wheels attached on the underside). Then push them around the room, investigating all of the corners and different areas of the room. Essentially, this distracts them from the fact that they are on their tummy and usually gives them a nice chunk of time on their belly. So there you have my five top tummy time alternatives for babies who hate tummy time. If you know of any other methods please let us know in the comment below - we would love to hear them!